Thanks for agreeing to do this, Alyssa. The first diversity question today is how do you self identify? Growing up in Hawaii, I thought of myself as Japanese American, when I thought of race at all. Because Hawaii is something like 50% Asian, I didn’t think of myself as “Asian”—until I moved to the Mainland for college. Suddenly I was aware of myself as a “minority” and a “person of color.” I started thinking of myself as Asian American, which I still do today. How did your background influence your early reading habits, if at all? I didn’t really pay much attention to my Japanese heritage, sad to say. I read whatever I liked—whatever the library had. The same childhood classics as everyone else. After Narnia and Middle Earth, lots and lots of fantasy. Did you envision the characters in the fantasy books you read as white or as other races and ethnicities? White mostly. When you’re reading about someone with red hair and violet eyes, well, she’s white. And when everyone you see in movies, TV, and books is white, you make assumptions. It was actually difficult for me to wrap my head around Ged (from Ursula K. LeGuin’s Earthsea books) being brown-skinned—even though he’s clearly pseudo-Polynesian in the text. It took me a while to figure it out; the cover of my beloved paperback whitewashed him. The only other non-white characters I ran into were in Laurence Yep’s books. He seemed to be the only author at the time writing fantasy about Asian characters. How did you get into children’s publishing? I wanted to be a writer when I was a kid. I even wrote a report in fifth grade about the publishing industry. By the time I got to college, I knew I loved children’s books but I didn’t know what I wanted to do with them. I interned for The Horn Book and a small publishing company but still wasn’t sure. During grad school, I got my first internship where I actually got to edit something. I immediately realized that this was what I wanted to do. I was enrolled in a PhD program at the time, but I took the Master’s and ran. What appeals most to you about the job of editing? I love the craftsmanship of editing. When you’re actually editing—getting your hands dirty—it’s messy and open-ended and exciting. I love figuring out the weaknesses in a manuscript and brainstorming ways to fix them. Helping the author clarify his or her vision takes creativity, problem solving, and thinking outside the box. Could you tell me about the most recent diverse book you published? 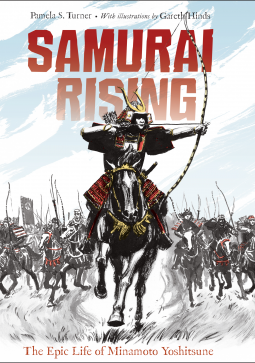 Samurai Rising by Pamela S. Turner, illustrated by Gareth Hinds, to be published in February 2016, is a middle-grade biography of Minamoto Yoshitsune, one of the most famous samurai in Japanese history. It’s one of the most thrilling books I’ve ever edited—full of drama, intrigue, violence, and romance. It still gives me goosebumps every time I read it. Yoshitsune is one of the main characters in The Tale of the Heike, a great Japanese work. I had learned a little about the Heike in college, but when I read the manuscript for Samurai Rising, it came to life. Working on the book pulled together a lot of threads for me: my Japanese heritage, my interest in martial arts (I’m a long-time aikido practitioner), and my love of the Japanese aesthetic. The book has deepened my understanding of, and appreciation for, my own culture. And editing the book made me go to aikido practice with renewed seriousness! What is one factor holding you back from publishing more diverse books? Availability. I just don’t see a lot of diverse submissions, and not a lot from diverse authors. Many of the submissions I receive are also serious or sad, with little kid appeal. Can you give an example of a successful diversity title on the Charlesbridge list? 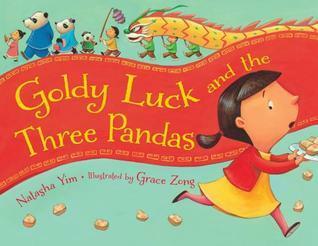 Goldy Luck and the Three Pandas by Nastasha Yim, illustrated by Grace Zong, is a Chinese American retelling of Goldilocks and the Three Bears. This book was a surprise success to me. I thought it would do well, but I didn’t expect it to be so widely embraced. It’s an accessible way for Chinese Americans and people from other backgrounds to learn about the basics of Chinese New Year. More universally, it’s a clever story with absolutely adorable art. Who would you consider to be a diversity pioneer in children’s literature? Lenore Look’s Alvin Ho books are just brilliant. They’re everything we editors ask for in terms of diverse characters who just happen to be diverse. Alvin’s Chinese American culture is integral to the story, but it doesn’t drive the plot or hit you over the head with a message. The books are about Alvin and who he is as an individual. And they’re funny. If you have an author who wants to write about characters outside of his/her own background, how do you generally handle that? We see a lot of submissions of diversity books from people writing outside of their cultures and backgrounds. Alarms go off, and you have to be really careful as an editor. First, I try to be sure that the writing is respectful. I also consult with experts from the culture and try to find an illustrator from that culture. These people bring things to the table that you and the author may never have considered. 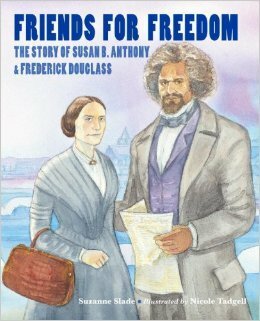 For example, in Friends for Freedom, Suzanne Slade wrote about the friendship of Susan B. Anthony and Frederick Douglass. In Suzanne’s head, she had handled Susan’s and Frederick’s stories evenly. In my head, Susan was the main character—but I didn’t question that direction. When the illustrator, Nicole Tadgell, who is African American, saw the text, she pointed out that the stories were presented as equal but in fact weren’t. She asked if we could do something about that. Suzanne, realizing Nicole was right, worked hard to shift the focus. The two friends are now treated equally, which is one of the main points of the book. Does being a person of color affect your acquisition or editorial process? Whenever I receive a manuscript featuring characters of color, I get excited—hopeful. That may be because I’m a “person of color,” but I think it’s true for all of us editors at Charlesbridge. If I’m being honest with myself, books with Asian—especially Chinese or Japanese—characters or settings immediately spark an interest, since I’m more familiar with these cultures. The funny thing is that, as an editor who specializes in nonfiction, I haven’t actually edited a ton of “diversity” titles. When you’re working on books about animals, urban gardening, and black holes, you can maybe include scientists of color and a diverse cast in the illustrations—but that’s not usually the main point of the book. of course, is biographies. Lately there’s been a real surge in biographies of little known people, partly due to Common Core. But even in this burgeoning genre, people of color are still getting shafted. When I was recently looking up Asian and Asian American biographies, I was shocked all over again at how little there is out there—Lee & Low seems to be the only publisher consistently putting out these books. This is one area where I feel like I could help make a difference. With the publication of books like Mario and the Hole in the Sky (a 2016 biography of chemist and Nobel laureate Mario Molina) and Mountain Chef (a 2017 biography of National Park trail cook Tie Sing)—as well as Samurai Rising—I’m hoping to help young readers find themselves in nonfiction. 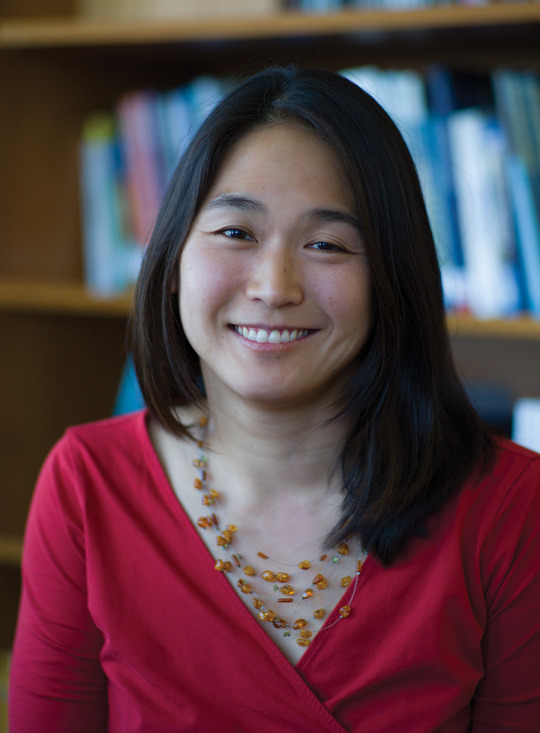 Alyssa Mito Pusey is a senior editor at Charlesbridge, editing picture books and middle-grade chapter books and specializing in nonfiction.